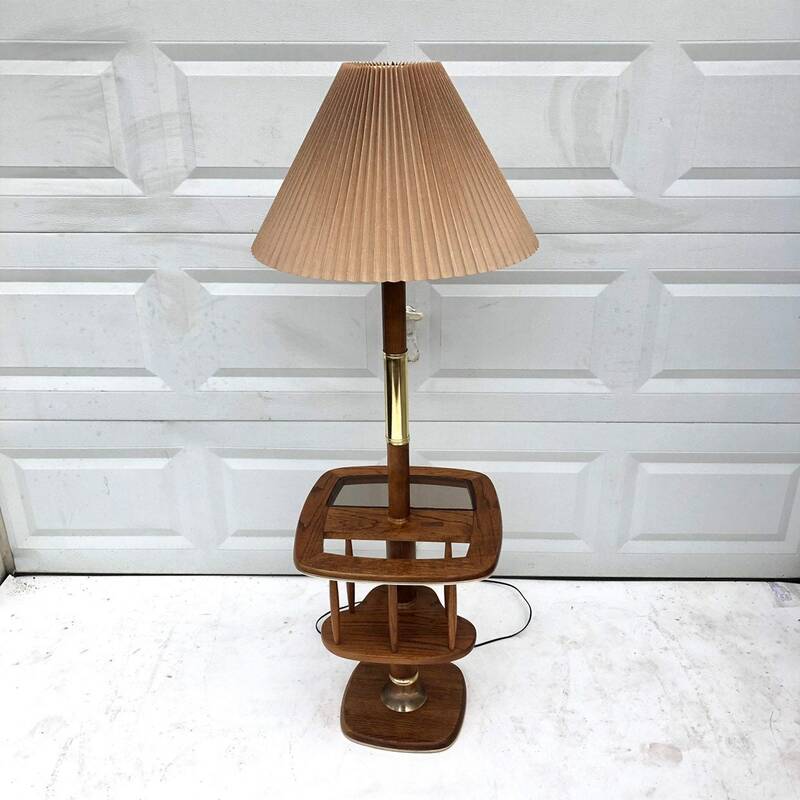 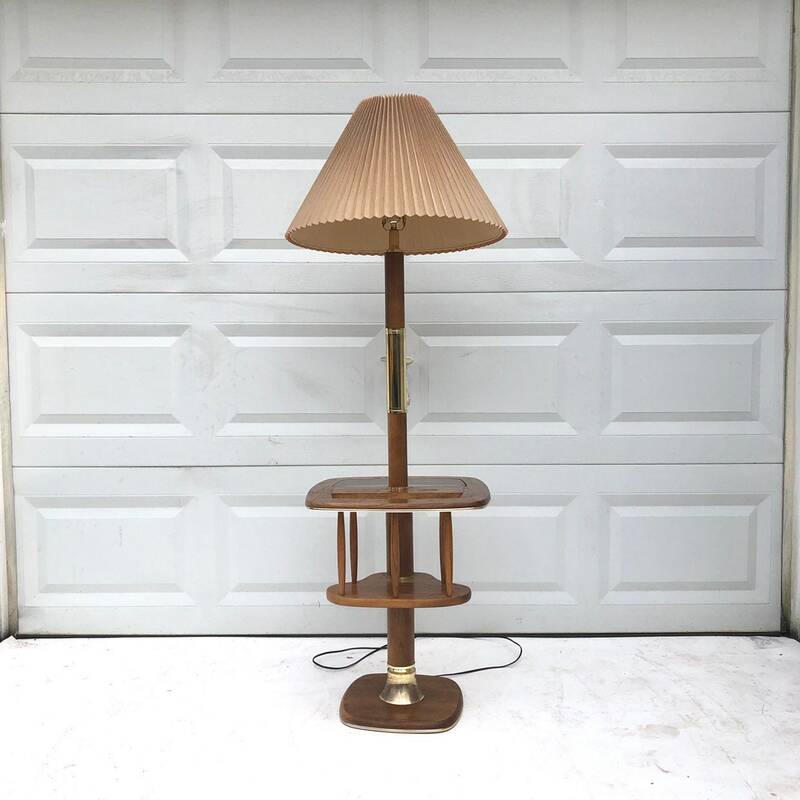 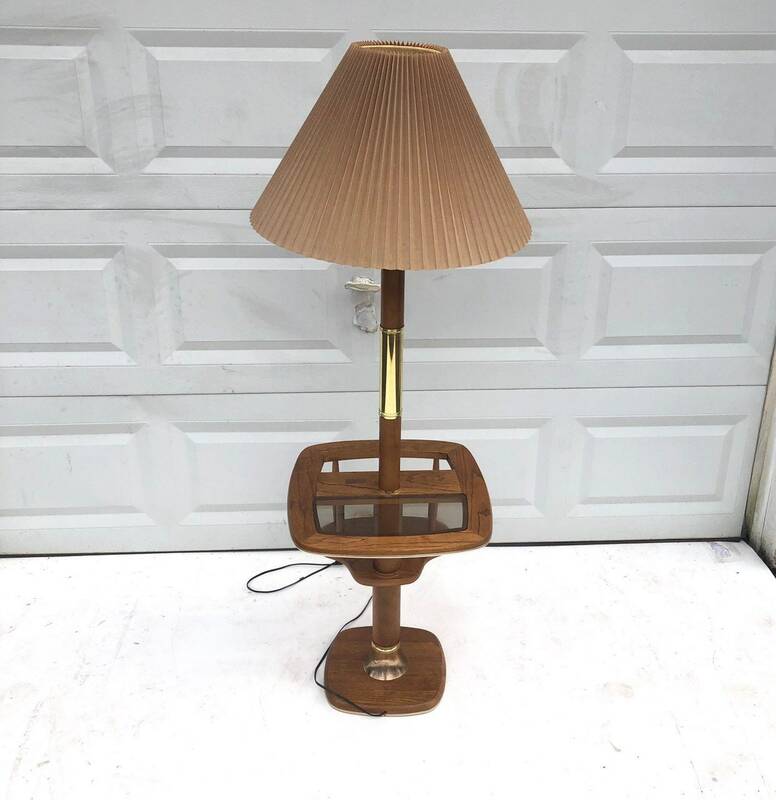 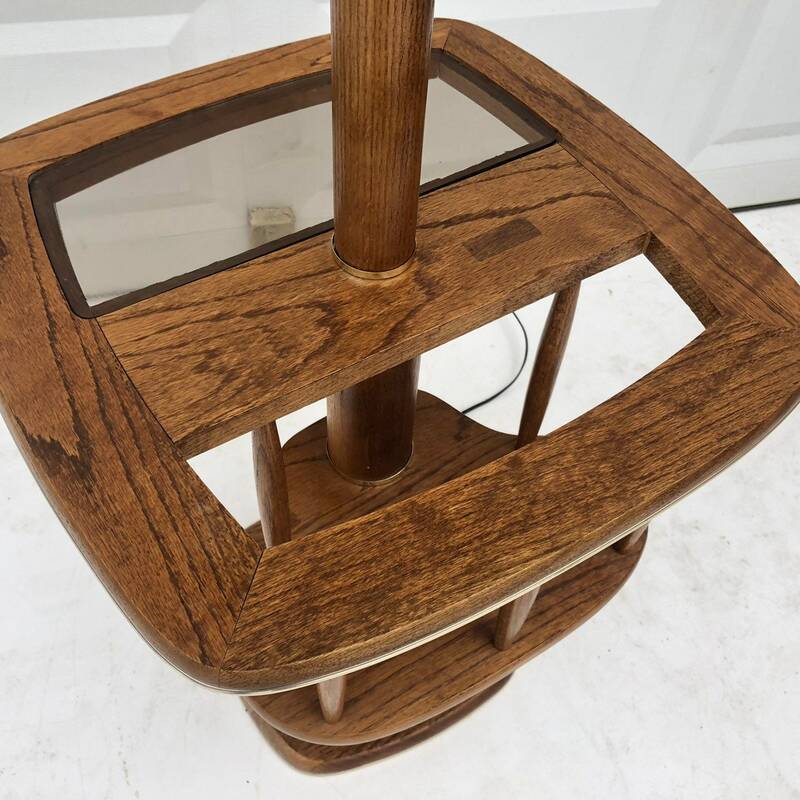 This mid-century modern floor lamp features built in end table with smoked glass top and built-in magazine rack. 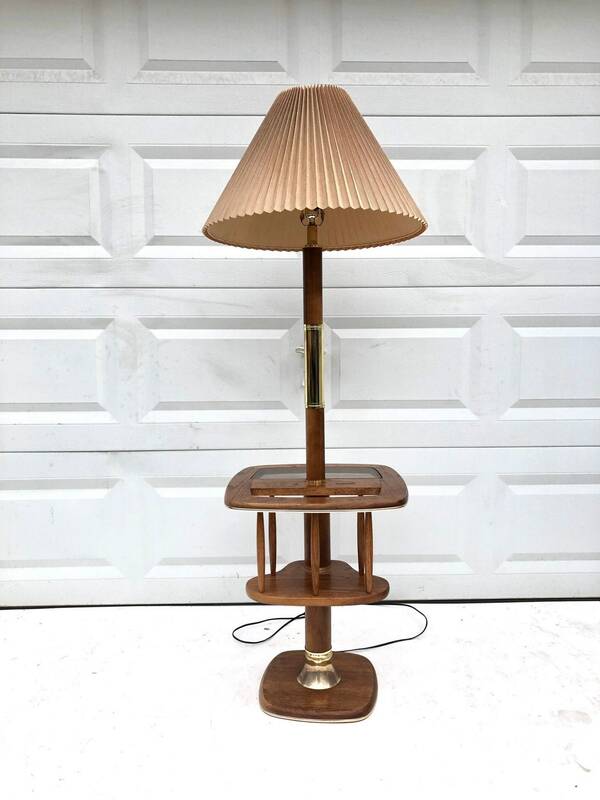 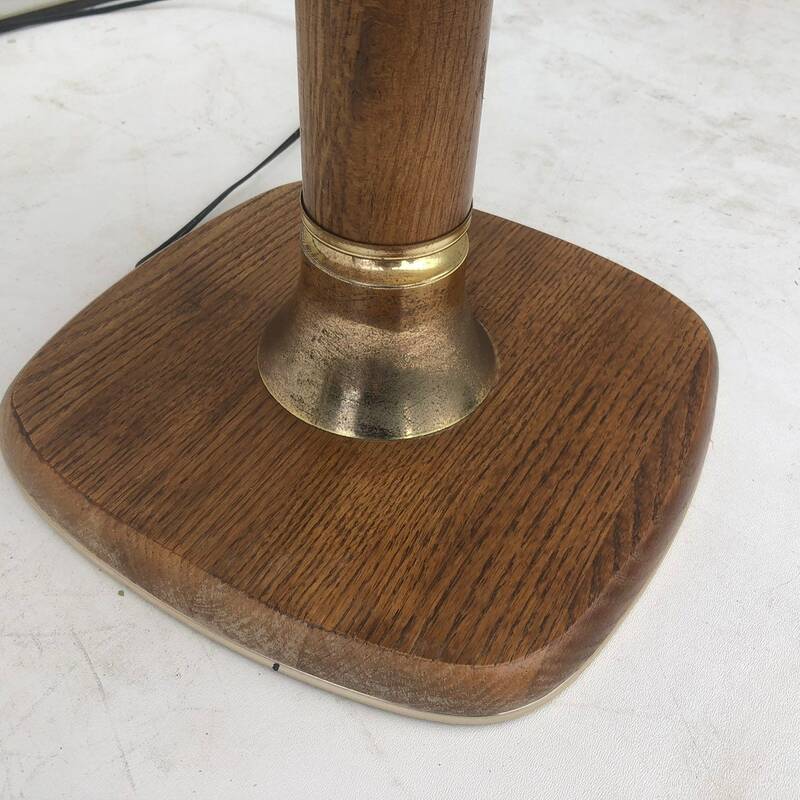 Vintage shade compliments the natural wood finish and is offset by lovely brass detail. 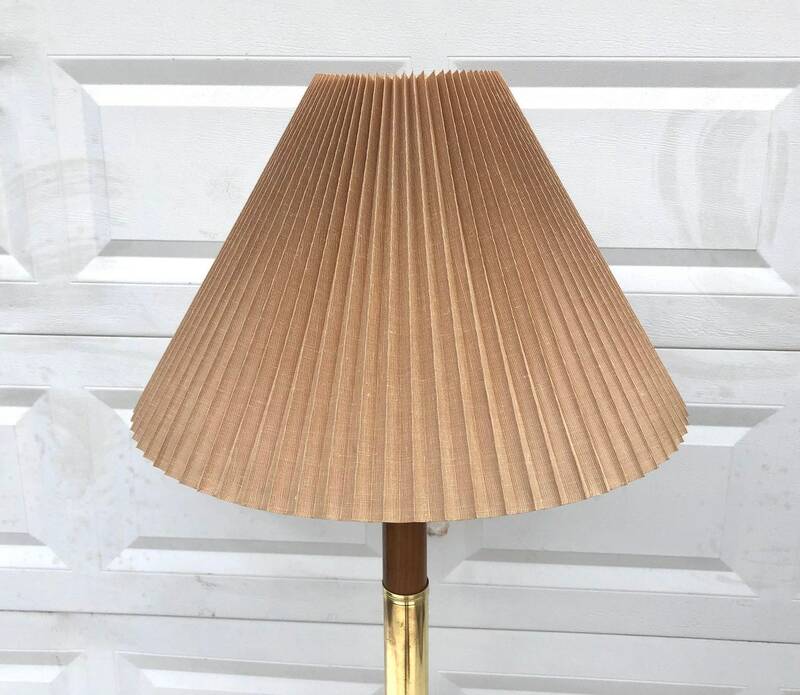 Sturdy vintage construction and timeless mid-century design makes this an impressive addition to home or business decor. 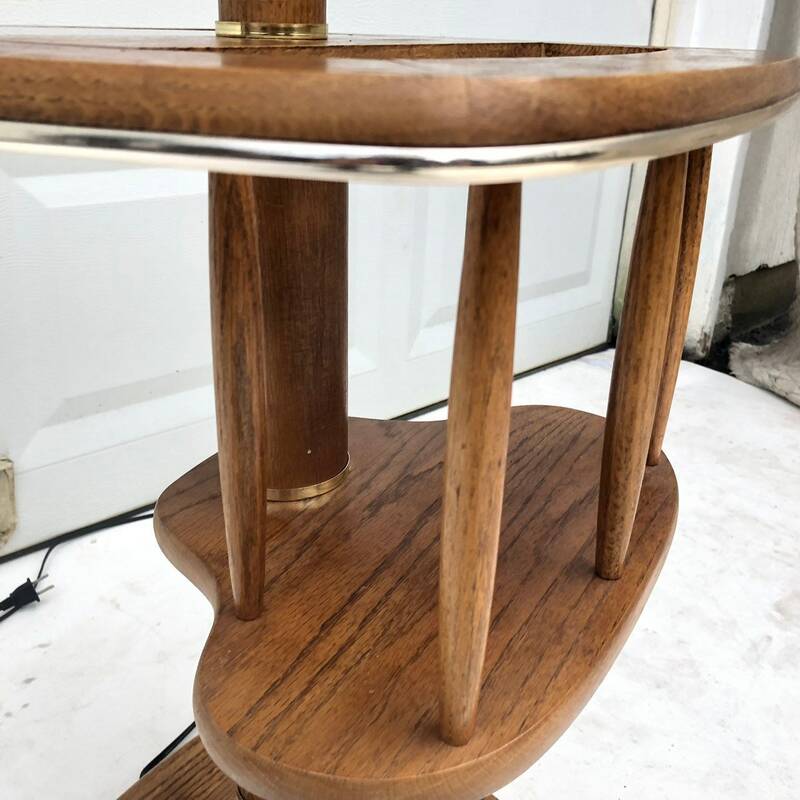 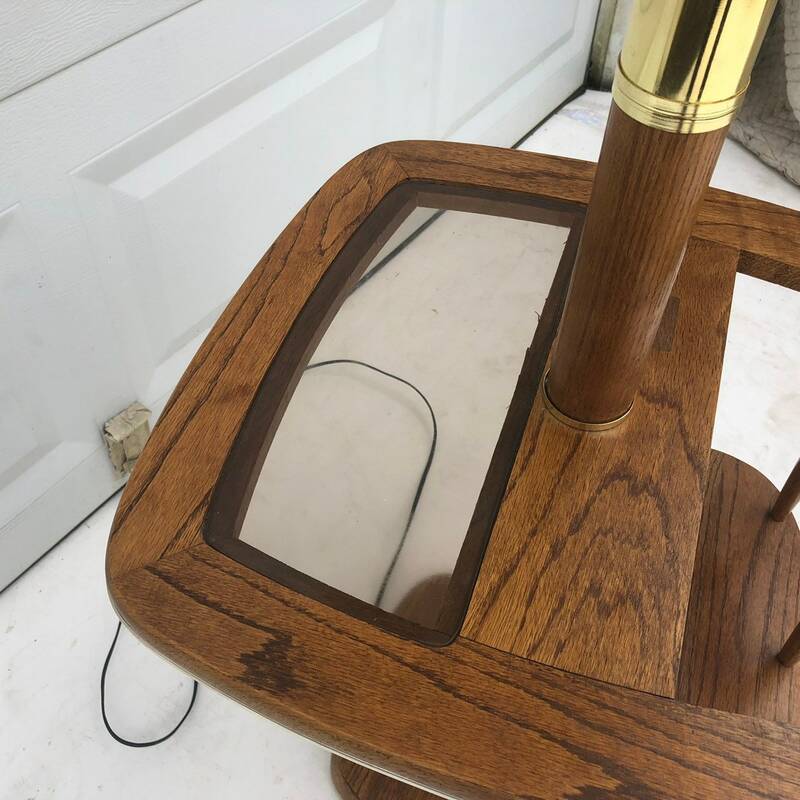 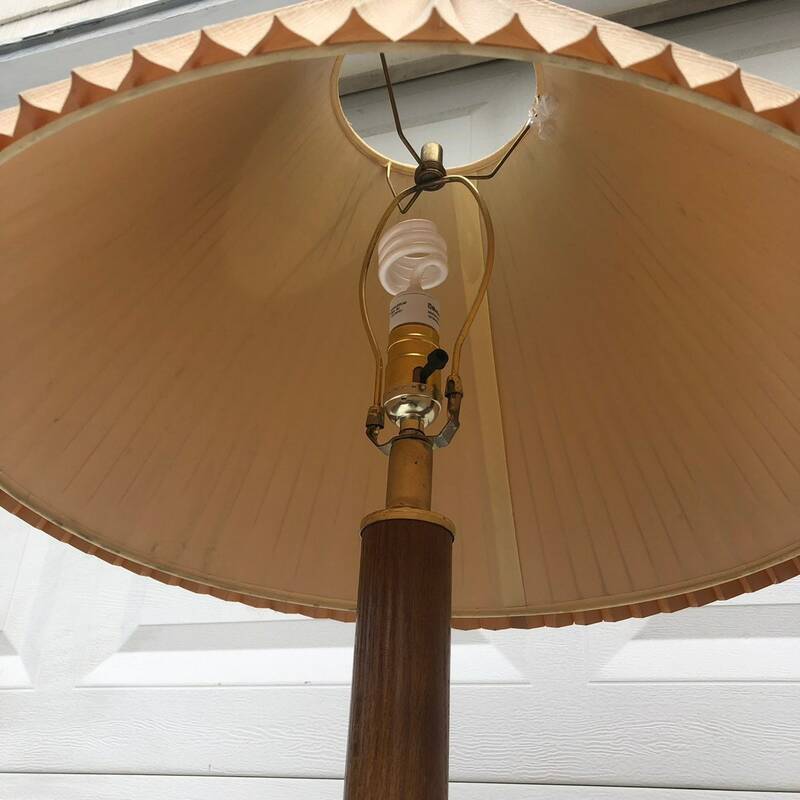 Condition: age appropriate wear, vintage finish worn, some scuffs/finish stains, edge wear, vintage shade a bit brittle but intact, some oxidation on brass finish, see photos.